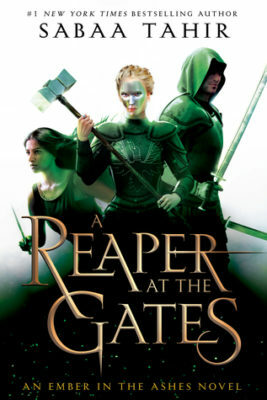 What happened in A Reaper at the Gates by Sabaa Tahir? Read a full summary of A Reaper at the Gates, the third book in the Ember in the Ashes series, now! This page is full of spoilers so beware. 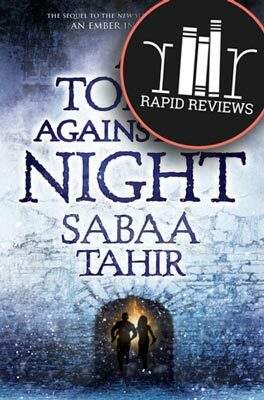 If you are wondering what happened in A Reaper at the Gates by Sabaa Tahir, then you are in the right place! What happened in A Reaper at the Gates? The Nightbringer remembers his wife the queen. She always feared what he would do if harm came to those he loved. He pushes her memory away and sends a letter to Blood Shrike Helene Aquilla telling her where to find Laia of Serra. He sends ghuls to the new allies in the south. The Nightbringer regrets hurting Laia of Serra more than he would like. Laia and her allies have been raiding caravans to rescue Scholars using her invisibility as a weapon. Helene has set a trap for her in an effort to get to lure Elias. Elias, meanwhile, is not doing a very good job of learning to be the Soul Catcher. Shaeva says that he needs to let his human life go but he cannot. Elias is captured by Helene when he goes to find Laia. Elias tells Helene that if she wants to defeat his mother, Keris Veturia, the Commandant, then she needs to go see Elias’s grandfather to learn more about her. Shaeva rescues Elias, and Harper secretly releases Laia’s bonds allowing her to she escapes. Helene is interested only in protecting her remaining family member, Livia, who is married to Emperor Marcus, her parent’s murderer. When Helene fails to get Laia or Elias, Marcus harms Livia. The Nightbringer goes into the Waiting Place and kills Shaeva, who delivers a prophecy. 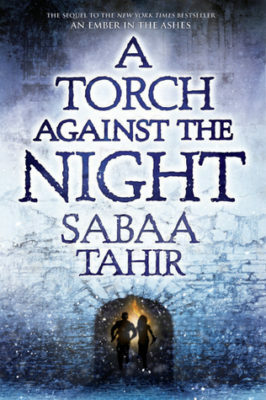 The Nightbringer has only one remaining piece of the star to collect and then he can set the jinn free. Laia swears to stop him. She must search out the Beekeeper to learn more about the Nightbringer. Cain, an Augur, delivers a message to Hellene asking her to visit her sister, Livia. Livia takes Helene to see that Marcus is taking orders from the ghost of his dead brother. Livia then reveals that she is pregnant. Darin and Laia travel to Adisa to find the Beekeeper. When they arrive, they see their own wanted posters. The Scholar refugees are suffering because of the two of them, so they turn themselves in and end up in jail. Musa, the Beekeeper, rescues them and in exchange Darin agrees to make Serric steel weapons for the Scholars, though he is reluctant to do so. Elias visits the tribes but the pull of the Waiting Place, of Mauth, pulls at him. He learns that he should ask the jinn, who are trapped in the trees, to show him their memory. When Elias returns to the Waiting Place, he finds that the ghosts are trying to get out. Helene learns that the Commandant is up to something and is the puppet of the Nightbringer. Navium’s harbor is being overrun by the Karkaun. The Commandant makes it look as if the battle fleet is lost, thus making Helene appear incompetent. Helene knows she must defeat the Commandant soon because she will likely try to kill Livia and the heir in her belly. To her dismay, Laia’s reputation is spreading. Musa wants her to be the leader of the Scholars, but she is reluctant. Now, whenever she uses her invisibility, afterward she sees a strange vision of a woman alone in a room. Elias goes to the jinn grove, and the jinn show him visions of the Commandant. When he was a child his mother came to visit him. Now a strange incomplete tattoo marks her body. “ALWAYS VICTORI,” it reads. When he returns to the forest border, he finds that some of the ghosts escaped. They attack a tribal caravan nearby. The ghosts possess the bodies of the living and fight those around them with inhuman strength and speed. Elias goes to intervene but is unsuccessful. While he is gone his cabin, his only sanctuary from the ghosts’ wails, is burned to the ground. Harper, Helene’s second, disapproves of Helene’s traveling the city alone. The two seem to have feelings for the other. Cook has been secretly leaving clay sculptures of a woman and child for the Commandant, who tries to keep it quiet. The Karkauns attack again and the Commandant and Helene volley to thwart each other and stay in the good graces of the people while still fending off the Karkauns. Helene is attacked and mortally wounded, but Elias visits her in a dream and tells her to get up. She makes it to safety and the Nightbringer helps her to heal herself. Harper witnesses this. Elias also visits Laia in a dream, but Mauth possesses her and sends Elias back to the grove. The jinn are deceiving him. Mauth wants Elias to let go of all ties to humanity, including Laia so that he can grab hold of the magic. Elias is to make the jinn tell him their secrets, their history. The jinn were the original Soul Catchers. The fire people who passed spirits on from the waiting place. They were peaceful and were ruled by who is now known as the Nightbringer, the king with no name. Scholar mortals tricked Shaeva, the Nightbringer’s bodyguard, into handing over their magic and enslaving them in the grove. She gave them the Star. The humans killed the jinn children. They say that Elias, a mortal, will never be able to fully harness the power of the Soul Catcher like the jinn were once able to. Laia speaks with a Kehanni who tells her that the Nightbringer cannot be killed but can be stopped. In the night wraiths sent by the Nightbringer, tries to kill the Kehanni. Before she dies, she tells Laia to seek out the Augurs’ prophecy at the Great Library in Adisa. They travel there immediately but when they arrive the Great Library is burning. She saves the life of a Jaduna who invites Laia east to “control the darkness within her.” Laia declines the offer, but then Jaduna gives her a book of prophecies about the Augur. Laia learns that Helene has the last piece of the star that the Nightbringer seeks. When he has it, he will release the jinn and seek vengeance on the Scholars. Helene proves that the Commandant faked the defeat of the Martial fleet weeks ago. She has been sabotaging the fight against the Karkauns. Helene takes control of the fleet and pushes the Karkauns back, but at the end of the battle, she learns that Livia has been poisoned. She returns to Antium, the capital. Helene heals Livia with the Nightbringer’s help and unfortunately, Emperor Marcus witnesses it. He hurts Livia and asks Helene to heal her, then demands that she also repair his own head problems. The Nightbringer tells him that nothing ails him. He really does see the ghost of his brother, and he must submit to him. Laia learns that Musa is consort to the princess of Adisa, though he is not in her good graces. The king, however, agrees to aid them in exchange for Serric steal. The princess stops them on the way out of the city and Laia is the only one to escape to go try to stop the Nightbringer. Elias helps the tribespeople whose dead will not move on. He also protects them from Martial attacks. Laia returns to the Waiting Place and enters the jinn grove. The jinn show her who the woman is that she sees in her visions. It is her mother when she was captured by the Commandant. She and Laia’s sister and father are tortured. Eventually, Laia’s mother kills the other two as a mercy. Laia sees that her mother is the scar-faced Cook. Elias has to free Laia from the jinn grove and when he takes her out he tells her that somehow they will find a way to be together. At that moment the ghosts break free of the forest. Helene learns that the Commandant killed a large group of Illustrians over a period of time. After each, Keris received a tattoo of a single letter then eliminated the tattooist. It was revenge for the Illustrians killing Harper’s father, her friend. They use this knowledge to cast doubt on her. Later, Helene learns that the Karkauns have abandoned their camps. Antium readies for war and Helene convinces Marcus to send Livia away to his family’s home. But as she is escaping, the Commandant captures her. Laia enters the capitol to take the piece of the star from Helene. Her mother, Cook, finds her and helps. They believe the star is probably one of Helene’s rings. The Commandant has rid the city of all midwives for Livia but planted one to try to kill Livia and the baby. The Karkauns march on Antium and Helene and a small force are to thwart them. The Karkauns set an ambush for her, and most of her men die. Harper is injured. The Karkauns have twice as man soldiers marching on Antium as they anticipated. Laia and Cook enter Antium. Laia notices that Cook has inhuman movements about her body. Elias finally harnesses his power and is able to pass the Ghosts on from the Waiting Place. He must track them down in the human world where they are possessing mortals and wreaking havoc. Finally, he senses that the ghosts are drawn to Antium and he follows them. As the Karkauns prepare their attack on the city the ghosts descend and possess the Karkauns. They move with inhuman speed and strength and enter the city. Helene and her soldiers fight as Laia makes her way to the Blood Shrike to try to steal the ring. Livia goes into labor and Laia uses this as a way to get close to Helene. Laia is trained as a midwife. She delivers the baby then disappears with Helene’s family ring. Elias is changed. He has put off his humanity, yet at times he feels like a prisoner in his own body. Mauth has completely taken hold. He removes the ghosts from the mortals but refuses to help Helene or even Laia. Livia leaves the city with her baby. Helene finds Marcus, dying, pinned to the wall where the Commandant left him. Helene kills him at his request, making baby Zacharias the new emperor. Helene knows that the Commandant will try to have the baby killed. The Commandant had planned for this outcome all along. She allowed the city to be taken but moved the Illustrian Paters, the Hall of Records, and the empire’s wealth before it was taken. She meant for Antium to fall, but not the empire as a whole. The Commandant tells Helene that she wishes to rule all of mankind. Laia learns that the ring was not the piece of the star that the Nightbringer wants from Helene. He comes to gloat. Elias and Mauth tell Laia that the jinn need to be released to return balance to the worlds. He will not help her stop the Nightbringer. Laia and Cook help the Scholars escape the city through a hidden tunnel. How does A Reaper at the Gates end? The Karkauns take the city, but Helene and a few of her men go to defend those that are trying to escape through the tunnels. Eventually, Helene is the only remaining soldier, and she calls on the Nightbringer for help. He tells her that he will help if she gives him her mask. She rips it from her face where it had molded into her skin. The Nightbringer takes it, the remaining piece of the star, but does not stop the Karkauns. Laia finds Helene who is about to be overrun and she, and Cook get her to safety. Cook sacrifices herself to allow them time to escape. They blast the mountain blocking the Karkaun from following the people. In the end, Helene refuses to give in to her feelings for Harper. She and Laia agree to help each other in the coming war. Elias turns Laia away saying that he is no longer Elias. He is the Soul Catcher. He meets the ghost of his grandmother who is unable to move on. The Nightbringer brings the completed star to the jinn grove, and the fire people are released. Cain and the other Augurs come as witnesses. We learn that they were the original scholars who defeated the jinn a thousand years ago. They have used stolen magic all this time. The Nightbringer allows only Cain, among the Augurs, to live. The Nightbringer foretells that all of mankind will bow under the Commandant’s rule. The Scholars will eventually be wiped out. The jinn prepare to enact their vengeance. There you go! That’s what happened in A Reaper at the Gates. We hope you enjoyed this recap of A Reaper at the Gates with spoilers. 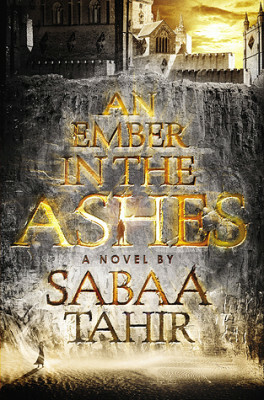 Want to buy An Ember in the Ashes, A Torch Against the Night, or A Reaper at the Gates? Click to purchase and help us pay for hosting! Oh and share this with your friends who might like to read a recap of A Reaper at the Gates.